The advance in technology doesn’t stop when it comes to hunting and shooting optics. First, we certainly had and have improvements in the scope itself, like improvements on the clarity of the glass or better coatings that improve the overall optics. On the other hand we have technology improvements in range finders. A few decades ago it would have been impossible to think of a handheld device with a laser that can measure distances. The improvement in technology on that side of the equation has shrunk the size of the device as well as the power requirements significantly. The logical next step was and is to combine the laser rangefinder with the rifle scope. First scopes that combine both features are available and perform well. The US Army is developing a new system for their snipers based on a Leupold rifle scope and laser range finder called the Ballistically Optimized Sniper Scope or BOSS. This system does go farther than just to combine the scope with the range finder. It basically includes an array of environmental sensors as well as a small computer to perform all ballistic calculations for bullet drop compensation, impact of environmental factors like winds, etc. The scope itself is a 6-22x scope from Leupold. The data from the range finder and the sensors is used to calculate the best aiming solution for the sniper. The technology for the Army might be a few more years out before it’s used in the military and many more years before it’s commercially available for hunters and shooters. 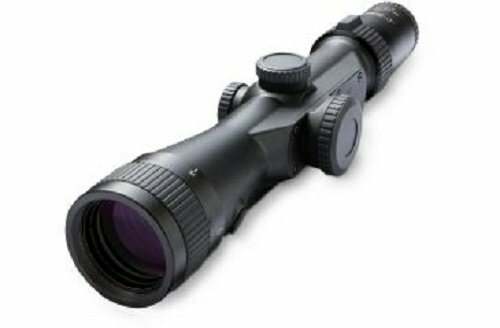 What is available today are scopes that have a built-in laser range finder. It clearly shows that we will see more and more changes and improvements to the capabilities of pure optical scopes. These currently are as simple as illuminated reticle to heads up displays to help the hunter/shooter. The integration of the range finder into the scope has made huge strides. It did not only get small enough to be physically viable but also affordable enough so that it became commercially viable. Many reputable rifle scope manufacturers are starting to introduce scopes that are combined with range finders. Nikon has the Laser IRT scope that combines a range finder with a 2.5-10x40 or a 4-12x42 optics. The 4-12 scope comes either with a Nikoplex or a BDC reticle. The M-223 2.5-10x40 Laser IRT sports a BDC 600 reticle. 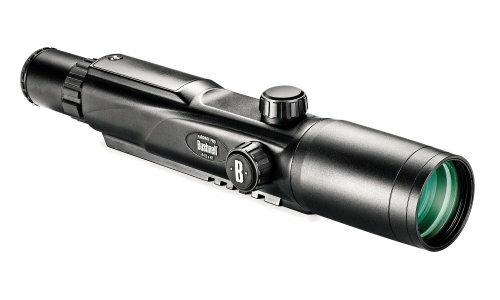 Next in line is the Bushnell Laser Rangefinder Mil-Dot Reticle Riflescope 4-12x 42mm. It’s a compact design with the range finder being within a +/-1 yard accuracy up to 800 yards. Lastly, there’s the Burris Eliminator III. 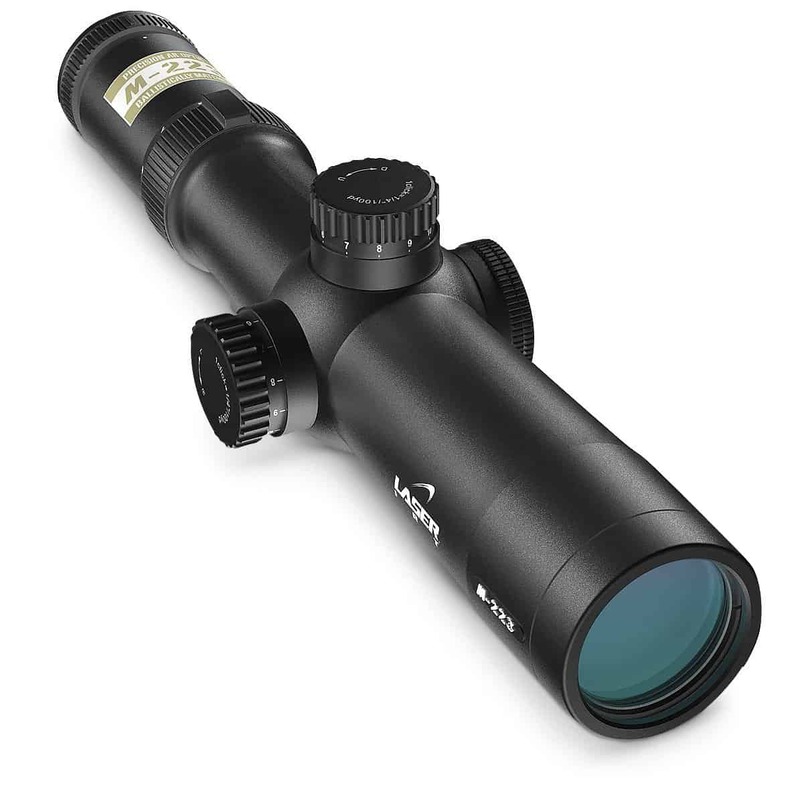 It combines 3-12x44mm scope with a laser range finder. The range finder on this combination is accurate up to 1,200 yards! At a time Zeiss also had the Victory Diarange scopes that combined a Victory rifle scope with a range finder. It’s no longer offered though. There are also a few other combinations available from lesser known manufacturers. Not listing them by name does not mean that they are in any way bad or inferior to the ones listed above. Combining a traditional rifle scope with a range finder does not only offer advantages though. Before putting out quite a bit more money than you’d pay for the scope alone, make sure that you are aware not only of the ‘cool’ things but also the disadvantages that this combination brings with it. Well, at least at the current times it has a few disadvantages you might want to consider. Progressing technology will take care of a few of these downsides in the future though. If you shoot long distances then you might use a laser rangefinder anyway in order to get an accurate reading on the distance. Instead of having to two pieces of equipment you end up with one. And, as it’s mounted to the rifle, you won’t forget it at home by accident. The combination does allow to take faster shots. There’s no more searching for the rangefinder to get the distance and then aim through the scope to shoot. It’s all in one package and there’s no time lost from searching or setting up the gear. This certainly doesn’t make a difference when you shoot on a range. It makes a significant difference during hunting though. It’s just plain easier to have everything in one device. During a hunting trip it can at times be difficult to find a safe space to put down the rifle when you have to dig for the rangefinder or vice versa. It’s also easier to only have to handle one piece of equipment instead of two. The scopes listed are definitely high-quality rifle scopes even without the addition of the rangefinder. All these brands are reputable and known for top quality optics. And these scope/rangefinder combo’s fall right in line with this expectation. They are built well with top-notch optics. The rangefinder modules also do not have to hide behind a handheld device. As with everything in life, there’s not only advantages but also a few cons to consider. Actually, there are a few downsides of having such a combo vs. having two pieces of equipment. The first is that the scope/rangefinder combination is quite a bit heavier than a rifle scope itself. Well, to be clear it’s not heavier than the two separate devices but it weighs more than a scope itself. It makes quite a difference in weight on the rifle which makes it harder to carry the rifle and potentially to set it up. The second downside is that you potentially pay more for the combination than for a good scope and a good range finder if you buy them separately. You do pay for the listed advantages of having it all in one device. If you buy both items separately you can pick and choose what to buy. The third issue is that the range finder for example on the Bushnell combo is ranging up to 800 yards. You can get a rangefinder with much higher ranges, like 1,200 yards, for not too much money. Lastly, you are tied to the magnifications that are offered right now. Looking at traditional scopes enables you to get a large variety of optics matching your needs perfectly. The limited amount of combinations available also results in less optics and magnifications to choose from. Are the available riflescope/rangefinder combos any good? Yes, they are. If they fit your needs and if you are ready to look over the cons then there’s probably nothing more convenient than such a combo. They are high quality and will make it easier to target and shoot. Are they the best for everyone? No, they are not. The weight and bulkiness alone require that you use them on a somewhat larger rifle. The lack of variety with regards to the optics also reduces their ability to fulfill the requirements for all types of shooters and hunters. It does come down to your personal needs and preference. If you choose such a combo then you get a high quality device that is as dependable as the two devices you use today. You can rest assured though that there are more combo’s coming out and that their capabilities and integration will get better and better. At this time it might be worth waiting a while longer to get the next generation of these devices. You can rest assured that the future for many will be combination scopes like the ones listed above.